Improve your poker game dramatically and start crushing the competition! 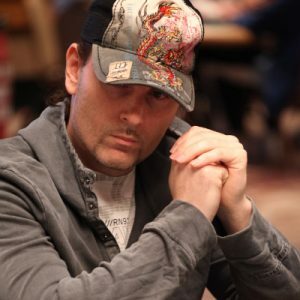 90+ thorough poker lessons and supplements from a seasoned pro. Consisting of high-quality and in-depth tutorials that will teach you all the secrets top poker professionals use to crush the multi table tournaments. Advanced poker strategies and tactics presented to you in an easy to digest way. Learn what it takes to go from beginner to pro. Crush MTTs with the expert help of an established PRO. You will struggle to find a more in-depth and beginner-friendly poker training programme in today’s market. 40+ Premium theory videos. All videos are on average 40 minutes in length, each are presented in a simple and easy to follow way. These videos explain both basic, intermediate and advanced strategies needed to compete and then crush the competition. 50+ Supplemental Learning Videos: You will be able to see all the skills and moves in action coupled with straightforward explanations. See what’s behind the thinking process of a player who has won millions from playing poker both live and online. Guided learning from beginner through to expert. This learning path will guide you through all the skills you need to acquire in order to establish yourself as a winning player. These modules go over all the necessary tactics and strategies to achieve this. Constantly evolving video library: Stay ahead of the competition with up-to-date videos. Kelvin “Acesup” Beattie adds new videos on a regular basis, so you can learn and practice everything that has been acquired during the course. Poker is without a doubt a game that is constantly changing, so continual and consistent learning and progress is required in order to stay at the top. The first and second modules cover the basics of No Limit Texas Hold Em that every player needs to start with. Modules 3 and 4 will present you intermediate lessons and modules 5 and 6 dig into the more advanced concept and strategies. You are one of those people who is eager to learn quickly and in an interactive way. Also, we believe poker should be fun and have done our best to balance the appropriate amount of both amusing and educational content. Our main goal is both to make you a better, winning player while at the same time making you love the game of poker even more. You are a losing or breakeven tournament player or a cash game player making a transition to MTTs. If don’t often win meaning that you’ve invested more in poker than earn, this program will help to change that. We will help you make the transition to you becoming a constantly winning player in the long run. You are a family man and/or have a regular 9-to-5 job, this course can also help you increase your winnings and who knows…help you follow your dreams to become a professional poker player. Once you get the lessons, you can go over them step by step depending on your free time. Even a few hours of studying per week can dramatically change your game and boost your bankroll. You are looking for a structured learning programme. If you are not sure what you should learn next, what training video to go over, which poker blog to follow… the list can often go on and on. These days there are so many options to improve your game and start winning more but does every single one of them offer you such a great opportunity as our Road to Success course? In our opinion, probably not! Aiming for overnight success. No matter how good a training program is, poker is not a discipline where you can turn into a monster player after one night. Actually, I can’t think of any fields of life where you can achieve this without persistence and hard work. Maybe the lottery being the only exception! Already an established poker pro. If you’ve reached a level where you crush the online and live MTTs, there will be little to learn. Players who are not willing to spend any time in improving their poker game. If you only play poker for fun and don’t want to spend any time improving and learning new things, the course may not be the best thing to invest your money in. It is created to help players who are eager to crush MTTs and therefore understand that a degree of effort is needed on their part too. 2 years ago, I was struggling to beat the low stakes. Getting on the Road to Success was the best decision I ever made. It taught me the skills I needed, not just to beat the low stakes, but to go on to crush the mid & even the highest stakes available. This summer (2017) I made the final table of the WSOP Main Event (for a cool $1.2M) & then won a ‎€25,000 tournament at the GPC for €250k. I wouldn’t be where I am today without the Road to Success. After I signed-up, and clicked on the first module, my jaw dropped at the amount of content. I think this course offers real value for money. I don’t know why I hesitated getting this course. Smartest decision I ever made. It’s choc full of top quality content and I feel vast improvement in my game with every lesson I watch. This course is exactly what I was looking for. It’s educational but also very entertaining. A really well presented professional course with excellent poker guidance. It gets difficult but has great explanations and examples and moves at a good pace. It was clear from the beginning Acesup had spent a lot of time preparing this high quality content. I haven’t seen such impressive content available on any other site. Each lesson I feel I have improved so much. This course is amazing! Not only is Kelvin a master player but also a master teacher. I can’t believe how much my game has improved in such a short time. I have been having increased success at the tables including a couple of first place finishes! Oh boy you have to see this to believe it! I haven’t seen anything as detailed and well presented in all my searching on the net for poker training material. I highly recommend this poker course for anyone interested in improving their poker game. The course is for every poker player willing to learn how to crush MTTs at a high level. It covers everything from basic concepts like Hand value, Betting, Board texture, Bluffing, Stack Size, Post flop play and more to ICM, GTO solvers, Bounty builder strategies, Check-raising, Effective bubble play etc. So, no matter whether you are just starting with poker or already have some solid experience and would like to bring your game to the next level, the course will make the difference. How can I benefit from the 7-Day free trial? You will be given unrestricted access to each video from the package once you sign up for 7 days. Once the trial has passed, you will be automatically charged the full amount for the Road to Success (or the monthly payment plan depending how you decide to sign up), unless you decide to cancel your subscription during the trial period. What type of payments are available? You can pay with Pay Pal and credit/debit card through Stripe. 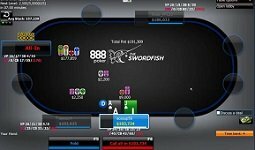 Under certain circumstances you can also use Poker Stars and 888 to transfer the funds for the course. For additional info contact: admin@pokernerve.com (don’t forget to submit your Promo Code: “UPC” to get 25% OFF training). Do I need a credit card to sign up to the trial? We don’t require to input your credit card to sign up for the trial, but take into account that you do need a working Pay Pal account which can accept charges. In case your prefer to pay directly, you can use Stripe and submit the payment with your credit card. Where I can cancel my trial so that I won’t be charged for the Poker course? We do refund after 7-day trial. Just have in mind that, if you buy upfront we have a 7-day money back guarantee ( no questions will be asked). In very rare circumstances (for example technical failures) we will refund after the 7-day trial or guarantee period. If you have any questions we would be happy to help! Start improving your poker game! Ready to hire your professional poker coach? Ultimate Poker Coaching is your dedicated training ground to polish your poker skills. Learn from our professional coaches and active poker player, find valuable poker-related resources, and more.